(Bloomberg) -- Donations to Theresa May’s Conservative Party are drying up as backers refuse to fund it in protest at its internal divisions, members of Parliament were told late Wednesday. 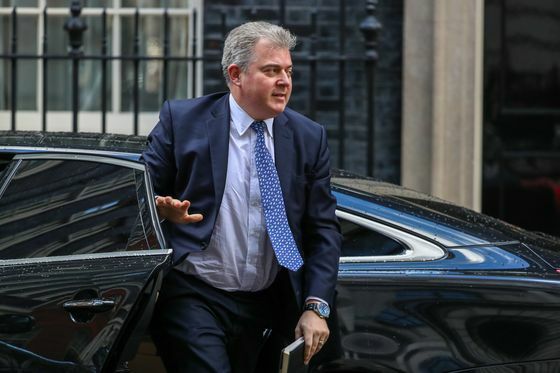 At a private meeting of Conservative MPs, party chairman Brandon Lewis and chief executive Mick Davis said they are facing a donor strike, according to four people present. In recent months, splits over Brexit have resulted in an attempt to remove May as leader and three MPs quitting the party. According to Lewis, the public and -- more crucially -- big donors have noticed. The meeting was told that half the party’s money came from 30 donors, and nearly a third came from just six people. The party needs to raise 32 million pounds ($42 million) this year and its financial backers don’t like the division they’re seeing. Lewis warned that it isn’t just the people with money that the party has to worry about. He said voters are also being turned off and would make their views felt at local elections in May. Though no one in the room disputed that the party is divided, there was disagreement about who is to blame.